Every 15 seconds the VAC080A and VAC140A self-clean by reversing the airflow over the pleated filter. Applications that produce constant amounts of dust can really benefit from the extractors with the automatic filter cleaning option. 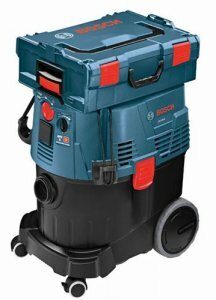 The semi-automatic VAC090S and VAC140S use a similar airflow cleaning process, but require a push of a button to be activated. Another nice feature of the vacuums is a water level sensor that automatically shuts down the device when the water level inside the vac gets too high. Yes, they can be used wet. Helping you to manage your vac are integrated hose and cord storage solutions. The models can also be outfitted with HEPA filters to be EPA compliant. 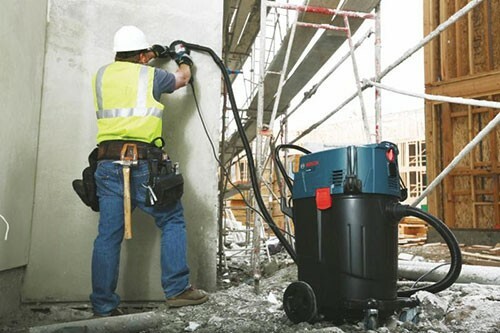 The VAC090 and the VAC140 dust extractors will be available February 2014 with a suggested retail price of between $549 and $669, depending on the model. Each vacuum comes with a kit including the VH1635 locking hose, VF100 filter and VB000P plastic bag.